A1 Containers is owned and operated by Willie and Heidi Dustin. Starting in the Hawkes Bay over 15 years ago, we have grown into a National Container Hire and Sales business. For all of your storage requirements, whether you need long term or short term options, we can offer competitive rates. 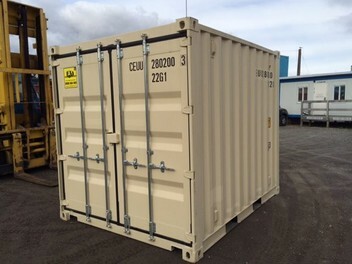 We supply new and used Shipping containers thought NZ and pride ourselves on our personal service and quality of the containers we supply our customers. Please call us on free phone 0800 400 400 for a free quote and honest advise today.